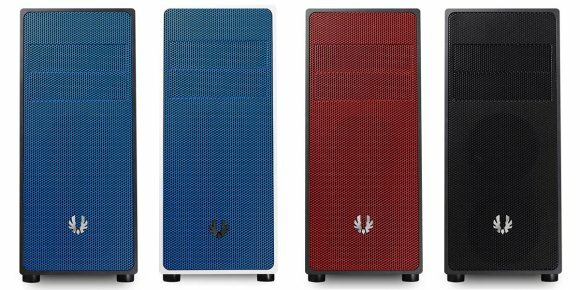 BitFenix has recently released a new line of mid tower case featuring a simple yet stylish case design and comes in different colors for you to choose from – the BitFenix Neos. 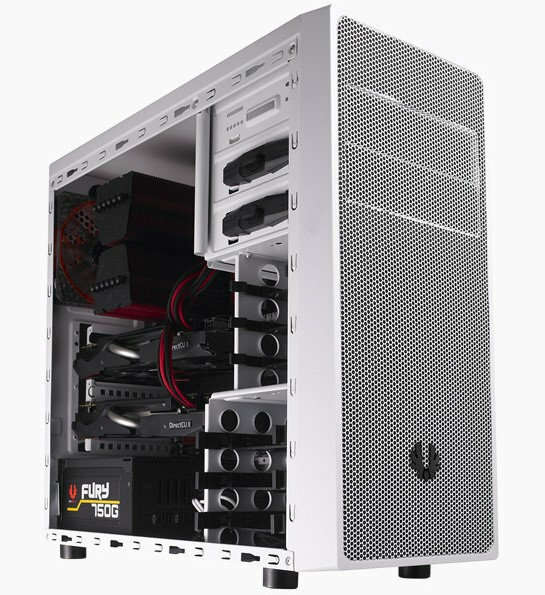 The new BitFenix Neos is a feature-rich but affordable PC chassis ideal for system builders who are looking for a case with a clean, uncluttered styling, multiple color options, and excellent upgradability that doesn’t cost much. Check out the rest of its features and specifications below from BitFenix’s press release below. At the BitFenix Labs, chassis design is all about balance. You want something eye-catching, but not ostentatious. Something simple enough to appeal to the refined tastes of the modern user, but not something that will get lost in a sea of chassis designs. With Neos, we wanted a design that was simple enough to fit into just about any decor, but also have enough personality to enable users to express their own personal style. How we’ve accomplished this starts with the clean and simple front panel. With clean shapes that provide openings for the optical drive bays and front ventilation, This panel is adorned with a large piece of mesh that comes in a variety of eye catching colors, allowing users to choose the one that fits them best. Looking to match the room the PC is stationed at? No problem. Wanting to match the components inside? You can do that, too. With both black and white models available in a variety of bold mesh colors, BitFenix pushes the design envelope once again with a simple eye-catching case that can match anyone’s computing environment. Of course, the mesh itself is not merely cosmetic. A closer look reveals extra-large holes that allow for unencumbered airflow to system components. At the same time, this mesh design allows the negative space behind it to actually become a part of the overall design, providing a subtle yet appealing design element to the case. Want to add more bling? 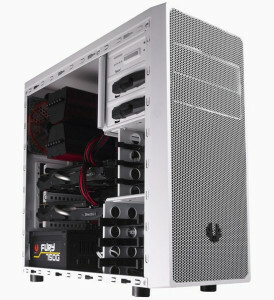 Simply install LED fans to the front panel, and you’ve created yet another exciting look. A window version of Neos is also available should you want to show off your system components. With its elegant yet simple styling, Neos is a blank canvas for you to create your own masterpiece. On top of all of this, Neos was designed with first-time builders and value-seekers in mind. 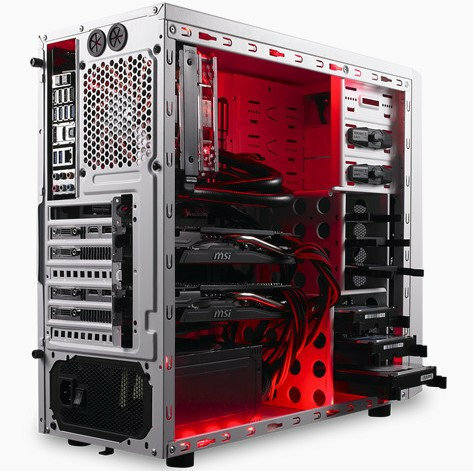 Niceties like removable dust filters, tool-free drive locking, all black cabling, and even an aluminum BitFenix logo badge have all been included. 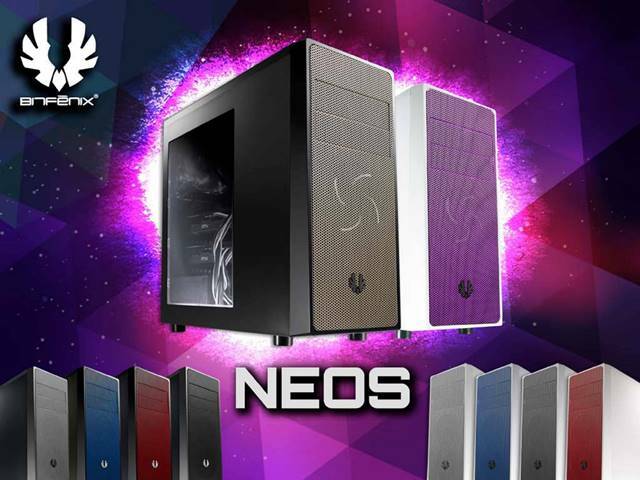 When it comes to offering value, Neos is one chassis that punches well above its weight. As of today, BitFenix hasn’t revealed its manufacturer’s suggested retail price for the Neos series. But it is expected that both the BitFenix Neos and Neos Window will be available on stores starting this May 2014. I’ll updated this post when retail prices are posted.